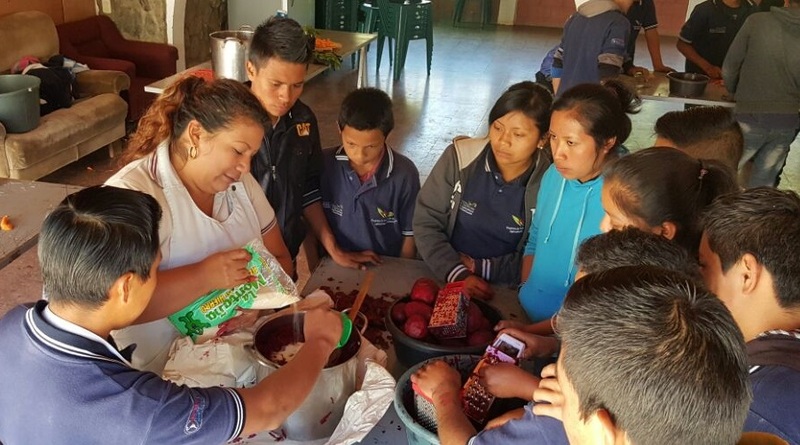 Funcafé as part of the accompanying processes and program support of Young Agribusiness Training in Tejutla, San Marcos, trained 44 young students (31 men and 11 women) and 3 technicians from the center. Theoretical and practical workshops on good hygiene and nutritional preparations were held on August 25, 2016. Participants cooked carrot and beet jams, vegetable drinks, “boshboles” and seasoned vegetables.